Justice R K Agrawal was given a warm farewell today by the Supreme Court Bar Association at a function presided over by Chief Justice Dipak Misra, some of the judges and large number of lawyers. 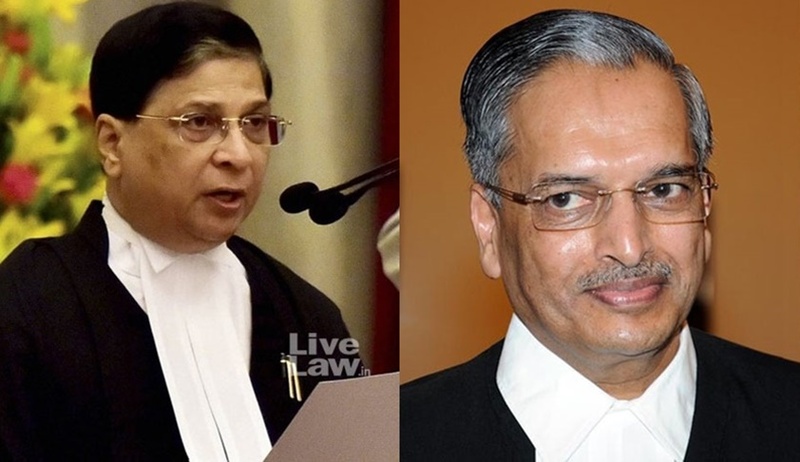 The event comes at a time when Supreme Court is gripped by several crises centered around the CJI himself- friction with four senior most judges, impeachment motion against him and spat with the centr over the appointment of Justice K M Joseph to the apex court. Chief Justice Dipak Misra said at the function: “Supreme Court is one. Bar fosters us, nurtures us, I have told the young members of the Bar to be the guiding angels”. The SCBA President said justice Agrawal had in his speech said:“It (a court building) does not reflect a mere building of lime, brick or mortar..its reputation and prestige is the fruit of dedication, sincerity and perseverance of those great lawyers and judges who have practiced and presided over here and advanced the cause of justice..we will come and we will go but the institution shall remain ..we shall not do anything that damage it..As you are aware it takes years to build a reputation and a moment to destroy it..” said Singh quoting justice Agrawal. “The speech by justice Agrawal is a very moving one and is so relevant one and we have to make a pledge today that we will all strive to make our institution the supeme court a great institution and do nothing either in court or outside to damage the prestige of the institution”, said Singh quotinig Justice Agrawal. Justice Agrawal hails from Uttar Pradesh. He was born on May 05, 1953. He did his graduation in Law from Allahabad University. He enrolled as Advocate on 14.08.1976. Joined the chamber of his father Sri Raja Ram Agrawal, Senior Advocate and former Advocate General of Uttar Pradesh on Civil side and dealt with Constitutional, Company, Service, Educational and Taxation matters. Worked as Standing Counsel of the Income Tax Department of the Government of India. Served a number of corporations and institutions as their Standing Counsel. Was Joint Editor of U.P. Tax Cases. Elevated as permanent Judge of the Allahabad High Court on 05.02.1999. Assumed office as Acting Chief Justice, High Court of Madras on 07.02.2013. Assumed office as Chief Justice, High Court of Madras on 24.10.2013.